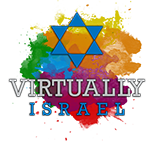 Virtually Israel transports users to the holy land through a Virtual Reality headset, with unique Virtual Reality experiences in a click of a button. Within seconds, one becomes immersed in a new and compelling place, and before long, is engrossed in the culture, history, scenery, architecture and beauty one can only otherwise experience by being in Israel. From the Western Wall to the beaches of Tel Aviv, Virtually Israel is a compact, engaging Virtual Reality tour covering many historic and known attractions.